Project Advance is crucial to the Church’s mission of providing services that benefit all Catholics and countless others in our Archdiocese. Our annual appeal lets us not only provide for our local Church but also strengthen our parishes. 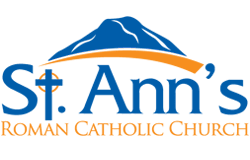 To date close to $101 million has been returned to parishes so they can meet the growing needs they have for their buildings and social programs. Our total pledges so far this year are $56, 075.00 so unfortunately we have yet to reach our Archdiocesan target of $59,000 and therefore haven’t received any rebate to put towards our Parish fund. Please be generous: help us to help. Project Advance is crucial to the Church’s mission of providing services that bene t all Catholics and countless others in our Archdiocese. Our annual appeal lets us not only provide for our local Church but also strengthen our parishes.